According to HKTDC, there were 1314 air cargo forwarders in HK employing 17287 that handled 4.5 million tons of air freight in 2016 and the HK International Airport also ranked first in the world in terms of international air cargo throughput last year. The emergence of the HK air freight industry in the 1950s and 60s was closely tied to the rapid post-War industrial development in Hong Kong as factories needed to rush orders to the West. 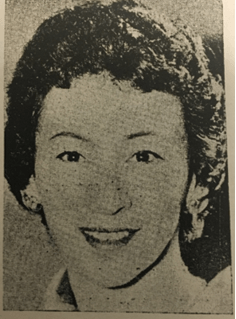 The HK air freight industry could trace its origins to a Jewish American woman by the name of Rosalind Henwood (1918-2009), whose Flying Cargo Co Ltd. (航空運輸公司) was one of the pioneers and leading players of the industry in HK from its beginning in the late 1940s through the 1960s. According to her bio in the 1960 Who’s Who, Rosalind was born in the US on May 5th, 1918 and studied two years of political economics in college. Judging from the last name of her nephew in her obituary, her maiden name was likely Zeitchick but she went by Rosalind Henwood after she married John G. Henwood in the 1940s. According to Henwood, she went into the air freight business after an aptitude test and a brief stint at a shipping company which pointed her to that direction. The years immediately followed the end of World War II were exciting times for the air cargo industry as many surplus aircraft became available at bargain prices and many war veterans with pilot experience entered the air freight business to meet the huge demand for the transportation of goods and raw materials generated by the worldwide reconstruction. In 1946, John and Rosalind formed J.G. Henwood & Co with US$1200 in New York and John serving as president. In 1948, the firm was renamed Flying Cargo Inc. to act as agent for all certificated international airlines and a separate travel agency Sky Traveler Inc was organized with Ernestine Samuels (previously with American Express and the Foreign Economic Administration) as manager. The firm became the first international air freight forwarder to receive the full certification as an indirect common carrier by the Civil Aeronautics Board in the US. It also was the first in the air freight industry to install the two-way radio equipment in its trucks to facilitate prompt pick-up and delivery to the airports in 1949. Edwin Li (黎錫鈞1922-, a graduate of the Pui Ching Middle School in Canton) joined Flying Cargo in HK as manager in 1950 (Flying Cargo Ltd, was incorporated in 1953 with Henwood as president) while Irving W. Goodson (who served as treasurer of the Air Freight Forwarders Association) joined Flying Cargo Inc. in New York and became its president. As one could imagine, it was not easy for an American woman trying to get business from the Chinese and the British in 1950s Hong Kong. According to Henwood, she started at the top of every building, trying to get in to see people and leaving her card with whoever would take it. Her persistence paid off and soon Flying Cargo became the pillar of an emerging industry. At first, air freight forwarders were only booking cargo of passenger airlines for shipments. But as the volume increased with the Korean War, retired C-46 planes from WWII with capacity of 4 tons were chartered to serve the Korean market. In 1958, International Air Transportation Association (IATA) which all the major airlines belong to, began to allow consolidation for shipments going to the same destination which enabled IATA agents to reduce its costs and make a better margin off the 5% sales commissions they typically earned from IATA airlines at the time. Five firms from HK – Flying Cargo, Hecny Transportation (均煇公司, founded in 1951 by the Li family), General Travel Service (統一旅行社), Everett Air Cargo Service (subsidiary of the American owned Everett Steamship Corp originally founded in Shanghai) and Air Express International (HK) Ltd (環球捷運, HK subsidiary of the US firm) became the first 5 IATA registered consolidators in HK and in 1961, Henwood as head of Flying Cargo and the heads of the other 4 IATA registered consolidators – Charles CK Lee (李俊駒) of Hecny, Richard Sun (孫傑, worked for UNRRA in China from 1946-49) of AEI, T.C. Lamb of Everett, Peter H.M. Tai (戴希孟, former operations manager of CAT in Shanghai and HK and St John’s University graduate) of GTS formed the HK Aircargo Consolidators Association (HACA). Henwood was elected the group’s first chairman, highlighting her stature in the industry. This group evolved into Association of Hong Kong Air Freight Forwarding Agents (AHAFA) in 1966 (Edwin Li served as treasurer of the group when Peter Tai was president in 1971) which became the HK Association of HK Freight Forwarding Agents (HAFFA) in 1989 as more sea freight forwarders joined. Henwood was also chair of the Air Cargo Segment of HK Association of Travel Agents (formed in 1957). In 1963, Goodson resigned as president of Flying Cargo and was succeeded by Ralph Dolgoff, who had been the secretary of the firm since inception and Louis Zeitchick (presumably Rosalind’s brother) was appointed director of sales and traffic. In the second half of 1960s, business was booming as the US government chartered large number of Pan Am and Flying Tigers flights to deliver supplies to Vietnam at the peak of the Vietnam War and the empty cargo on the return flights were sold to consolidators and agents like Flying Cargo and Hecny who in turn sold the space at huge profits to HK factories shipping garments, toys and electronics to the US. The profits attracted a good number of local and foreign competitors to enter the HK market. In the 1960s, in addition to air freight through Flying Cargo and travel agency through Sky Traveler, Henwood also operated trucking via Air Terminal Trucking Co, local tours under Emperor Tours and a children’s shop called Jack + Jill. For many years, Flying Cargo operated out of the mezzanine floor of the Peninsula Hotel with offices at the Kai Tak airport and Henwood also lived in the adjacent Peninsula Court (now Kowloon Hotel). By the late 1960s however she had moved to Tregunter Mansions on the Peak. The success of Flying Cargo caught the attention of Citibank which acquired the firm in 1969, The group had 143 employees in NY, HK and Manila at the time and according to an interview years later, Henwood said she sold the firm “to preserve her health”. Samuel R. Eastabrook, the head of Citibank in HK, was appointed president of Flying Cargo, Jack Moss who was the Far East manager of Northwest Airlines was brought in to run the day to day operations as managing director while Henwood stayed on as a consultant. Offices were added in Tung Ying Building in Kowloon and Prince’s Building in Kowloon. By 1971 however, Citibank was wondering why they were involved in a totally unrelated business and sold Flying Cargo and its subsidiary First City Travel to Pandair Freights, the largest freight forwarder in the UK and subsidiary of the P&O Group which the firm had long maintained an agency relationship with. As a result of the sale, Flying Cargo was renamed Pandair Freight (HK) Ltd. Pandair had 50 locations in 17 countries and was acquired by Air Express International in 1987 and in 1990, Pandair Freight (HK) Ltd was dissolved. There is a Flying Cargo Ltd today but it is unrelated to Henwood’s Flying Cargo. Air Express itself was acquired by Deutsche Post in 1999. As for Henwood, she continued to work as a consultant in the international freight industry until 1993. Outside of work, she volunteered for more than 20 years for the Serviceman’s Guide Association, assisting U.S. Navy personnel and Marines who came into Hong Kong for rest and recreation, and running blood drives for the American Women’s Association. She also volunteered for about nine years for the Duchess of Kent Children’s Hospital. In 1993, she retired to Boca Raton, Florida where she lived until her death in 2009. With her Jewish heritage, Rosalind had strong affinity for the state of Israel where she first visited in 1951 at the invitation of the national carrier El Al whom she helped over the years in its international expansion. She also generously supported two Israeli universities – Hebrew University and Ben Gurion University for decades where thousands of students have benefited from her scholarships and in return, both universities conferred her with honorary doctorates. After her death in 2009, her estate contributed to the founding of the Rosalind Henwood Early Childhood Center in Boca Raton, Florida. This article was first posted on 16th February 2018. This woman shaped my life. She was one of my mother’s good friends and I did not appreciate her when I was a child. Ros was always telling me what I should do and how I should do it, not what a child wants to hear. Reading this makes me realise she help shape me into the woman I am today. I went into the travel / hospitality industry because of her. Darn you Ros Henwood, you were right! And I can’t thank you enough for being one of the strongest and most courageous woman I’ve been blessed to have in my life.